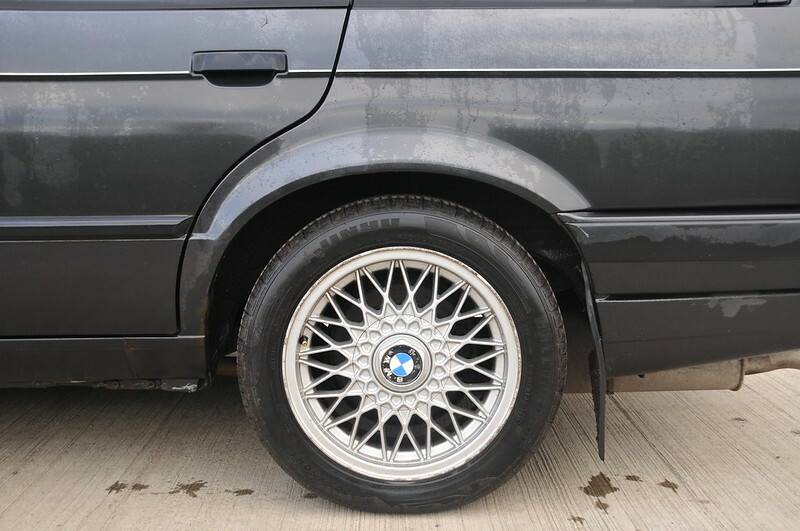 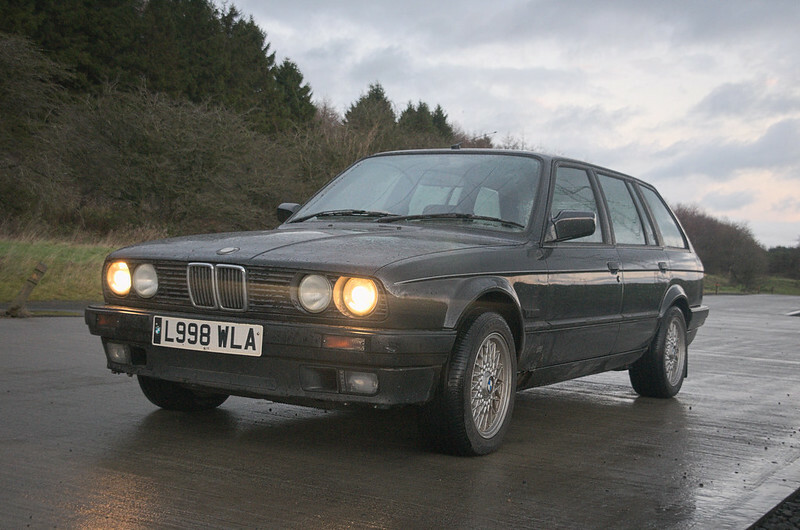 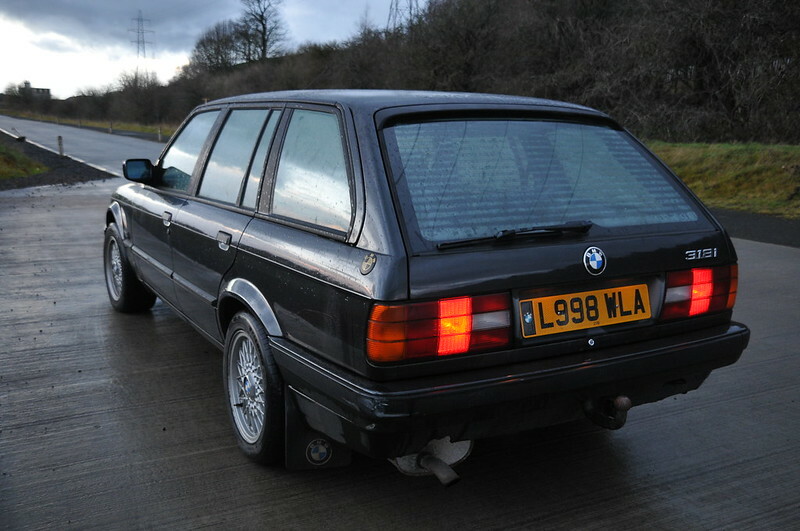 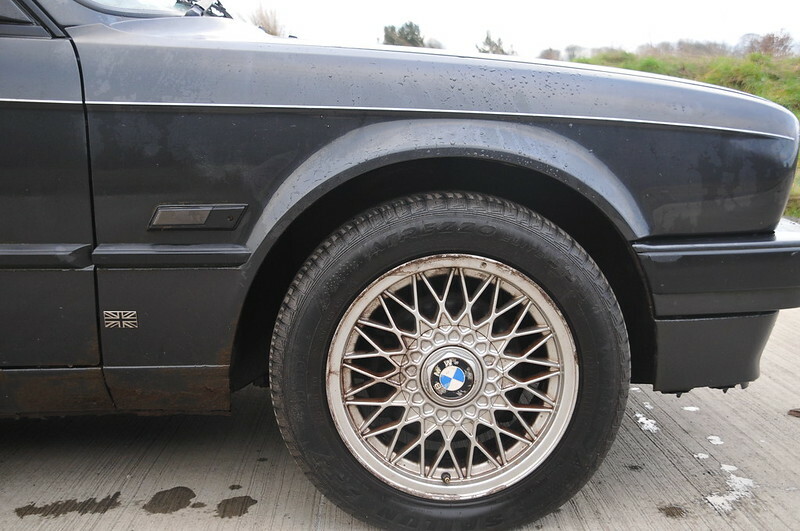 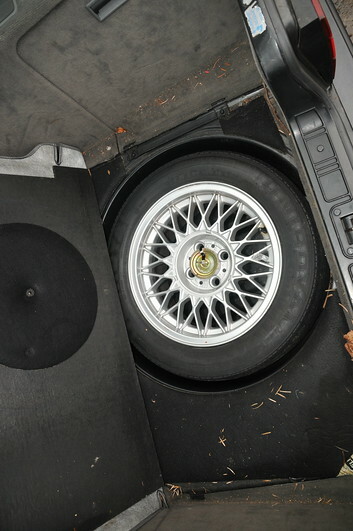 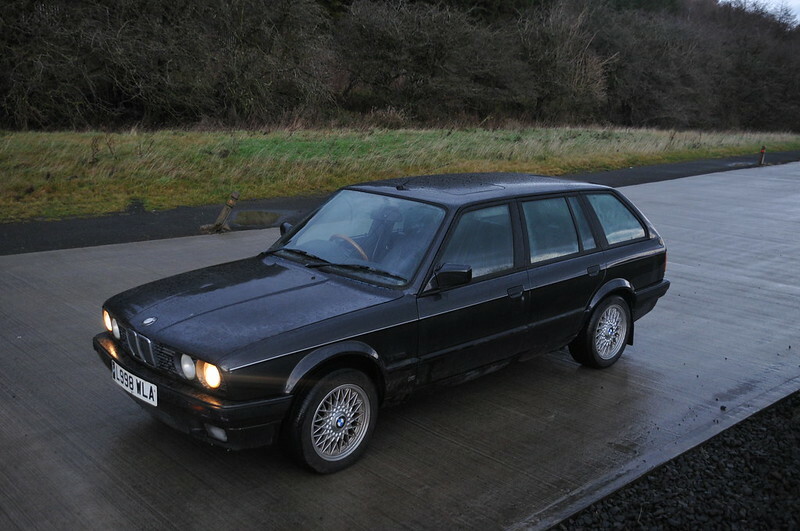 For sale is my E30 318i touring, It's in relatively solid condition and has a few decent bits on it including a set 15" BBS alloys complete with centre caps, a black comfort leather interior in great condition and a genuine Nardi wooden steering wheel. 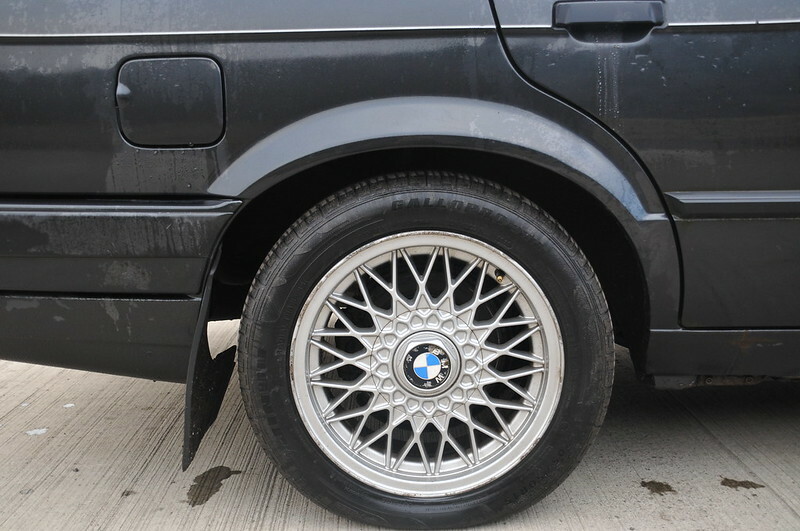 It is relatively rust free apart from the bottom of both front wings where it meets the sills, all sills, chassis rails, floors, valances and wheel arches are in good order. 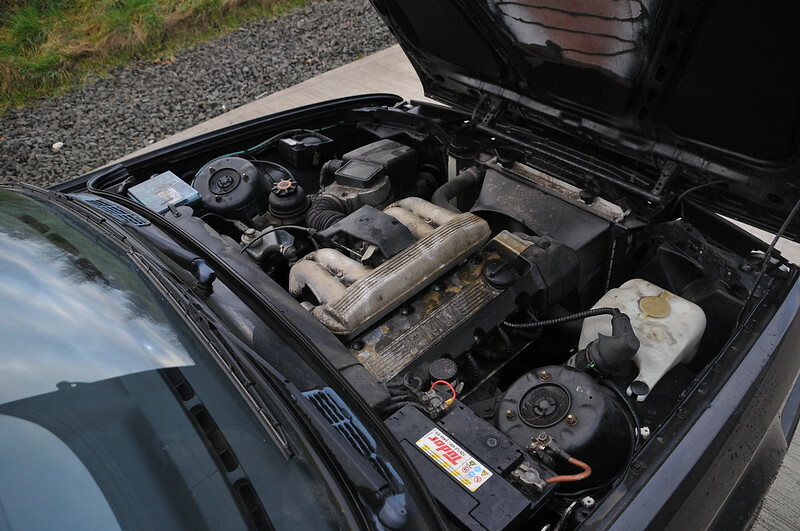 The car does start, stop and drive however the engine sounds very tappy/noisy. 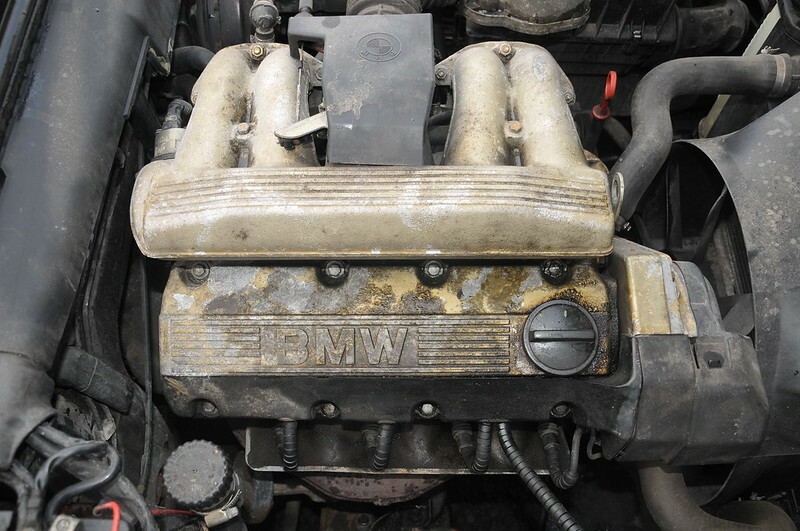 I'm told that changing the oil a few times could possibly quieten down the hydraulic tappet noise. 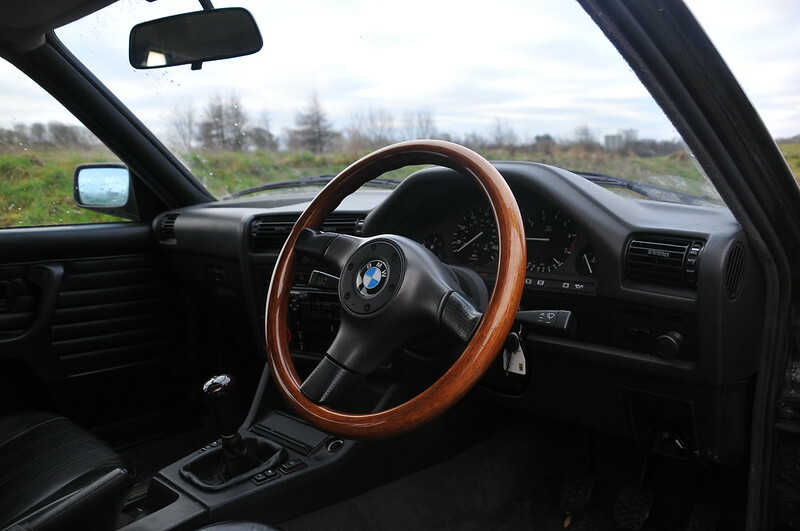 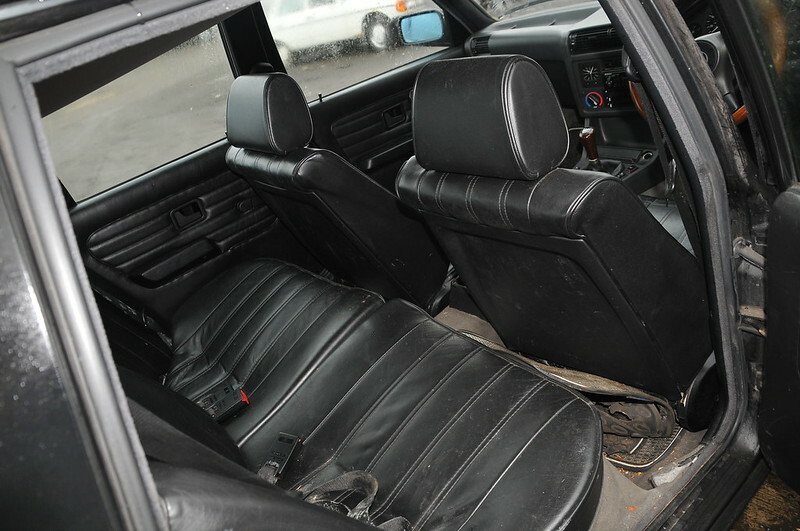 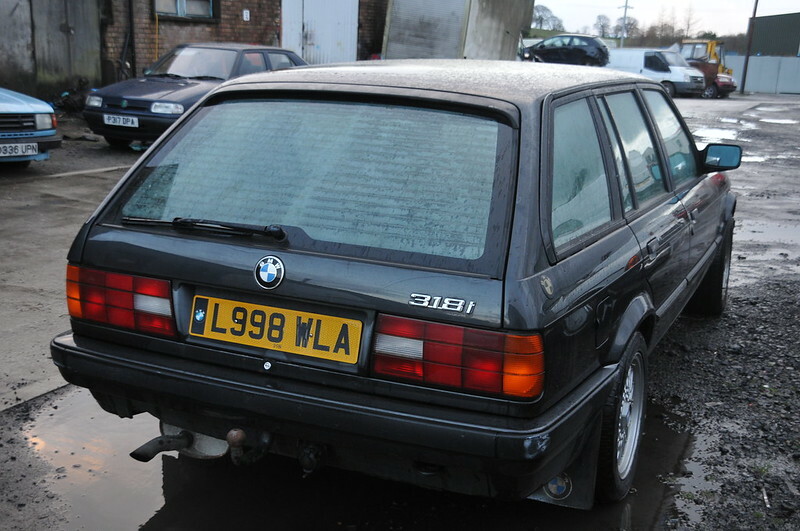 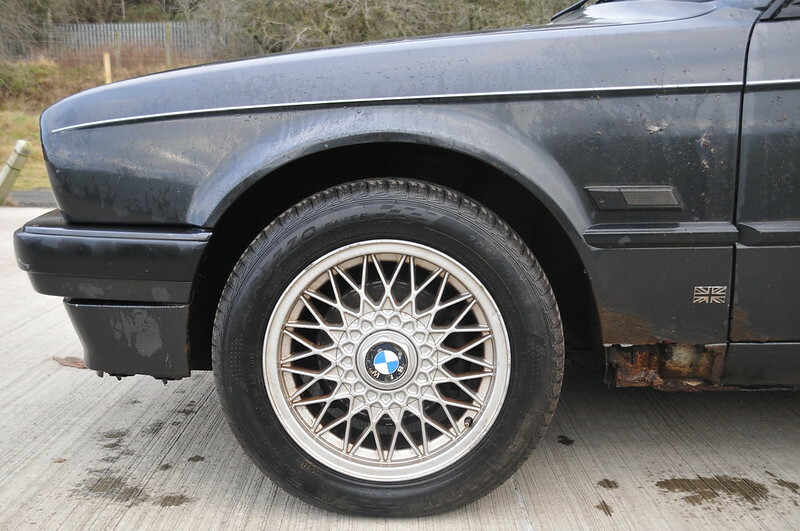 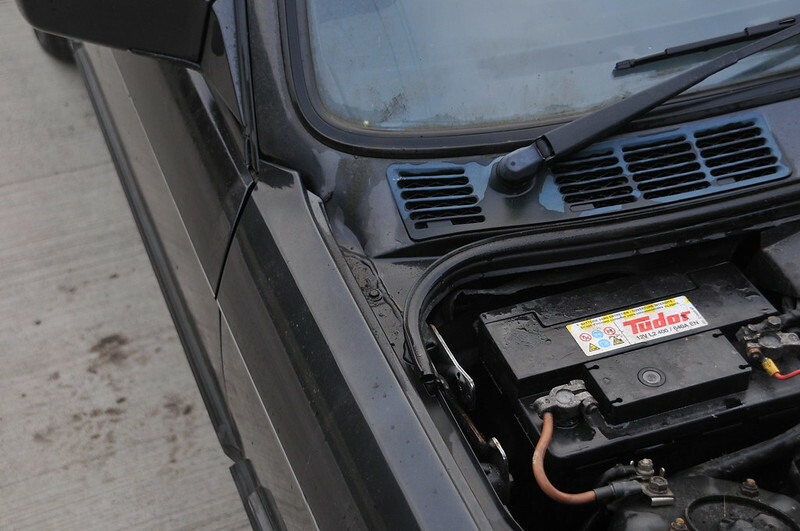 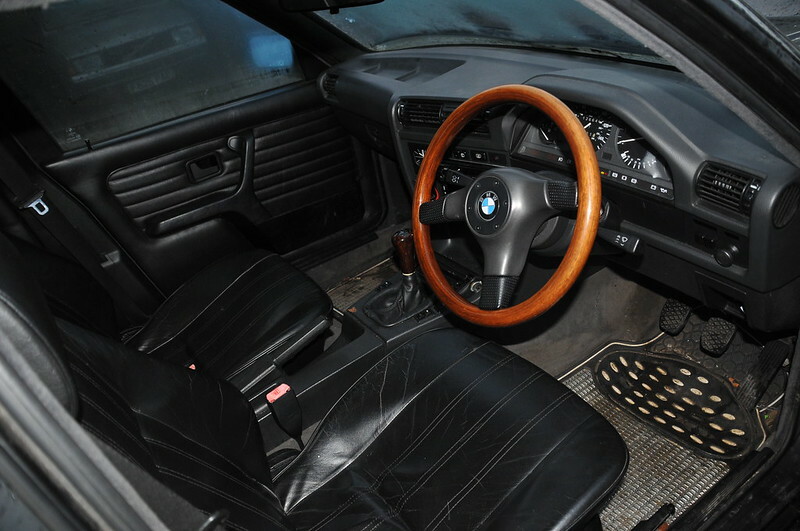 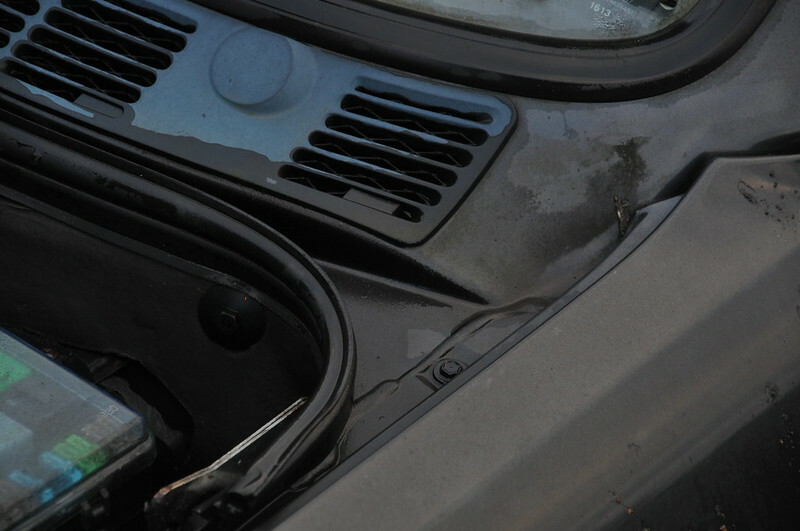 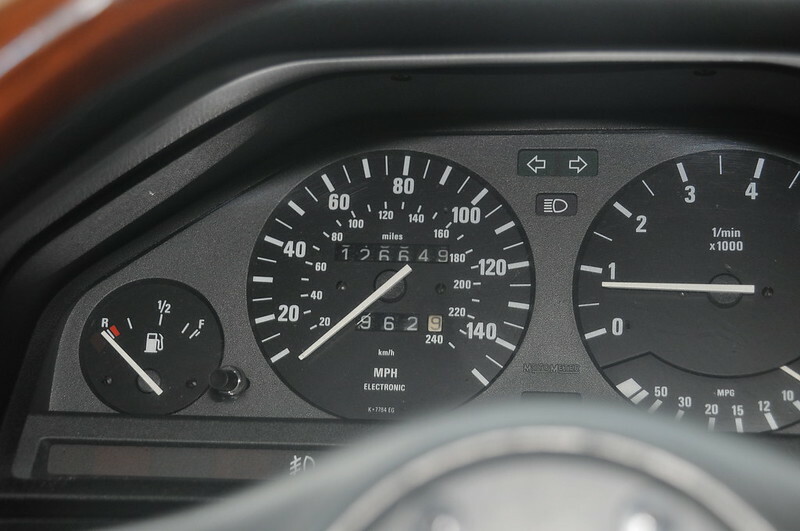 It does suffer from typical E30 sagging headlining and there are a couple of cracks on the dash. 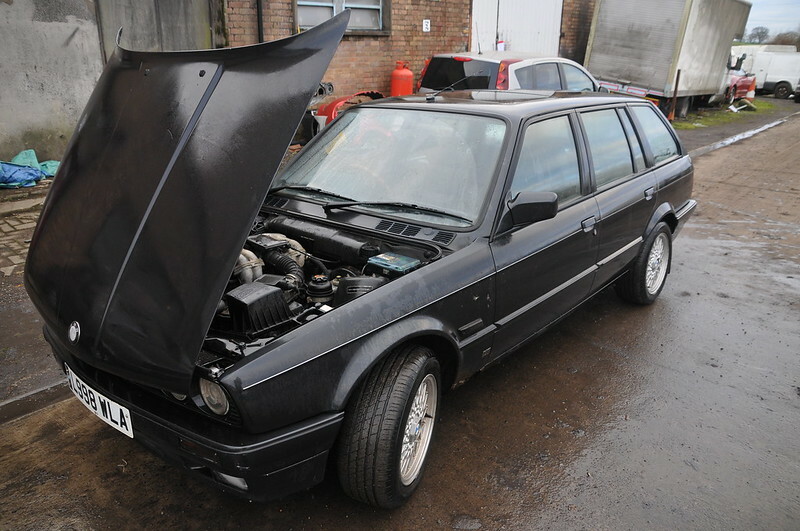 It has 126k miles on the clock, mot ran out in December 2017, it did go in for another test around that time and failed on a few bulbs, exhaust and a front shock. 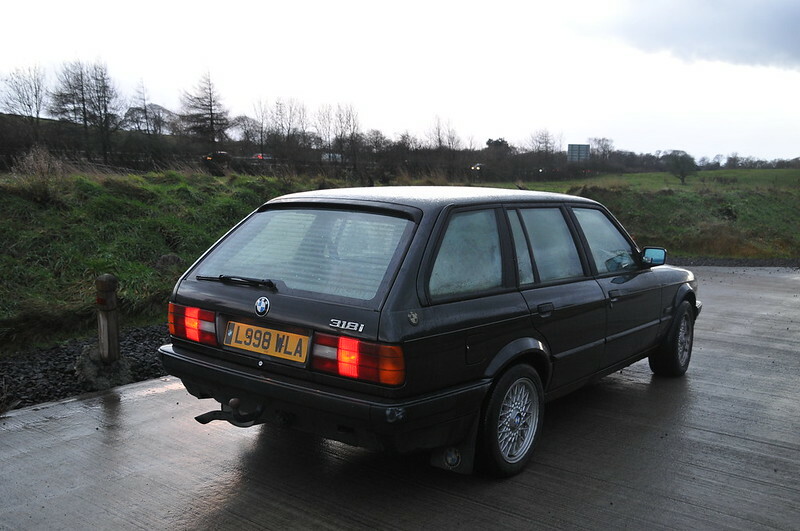 A weekends fettle would probably see it back on the road but I've taken on a bit too many projects at the moment and don't see me doing anything with this in the near future. 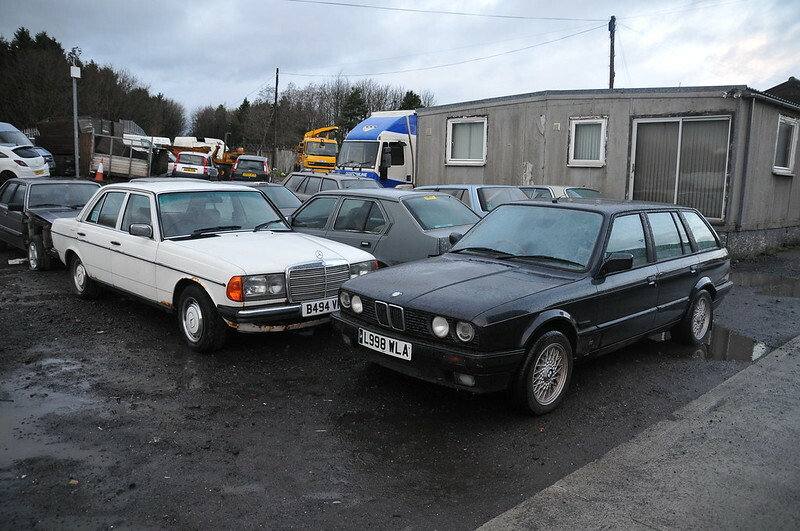 These are all the photos I have at the moment but will get some better ones at the end of the week.